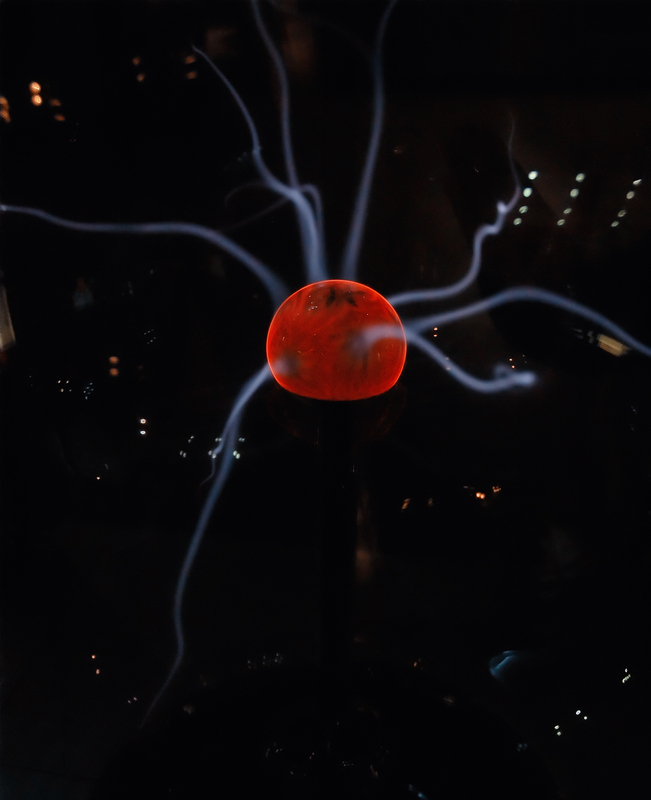 This is a detail of a plasma ball at CosmoCaixa Science Museum. Many of you have seen these balls that seem like octopuses or aliens extending their tentacles whenever someone dares to touch the surface of the crystal sphere. It was hard to take this picture since I had to avoid the use of flash on the reflecting surface and I had no tripod with me at the moment to gain stability and look for more natural light in the dark pavilion. I hope you like the result. The tiny star-like spots are just reflections on the ball that I did not edit to keep the cosmic look of the image. I've seen those balls in other science museums, but I've never had the nerve to touch one. That's a cool picture. At a store the other day I saw a plasma ball that connects to an ipod. It supposedly dances along with the music, but they did not have a display so I don't know how well it works. The detail is amazingly crisp for a low light shot, good work..
Well Joe, as you have probably noticed the original video in my link was removed by the author in youtube but we have yours now to illustrate the idea. Thanks!